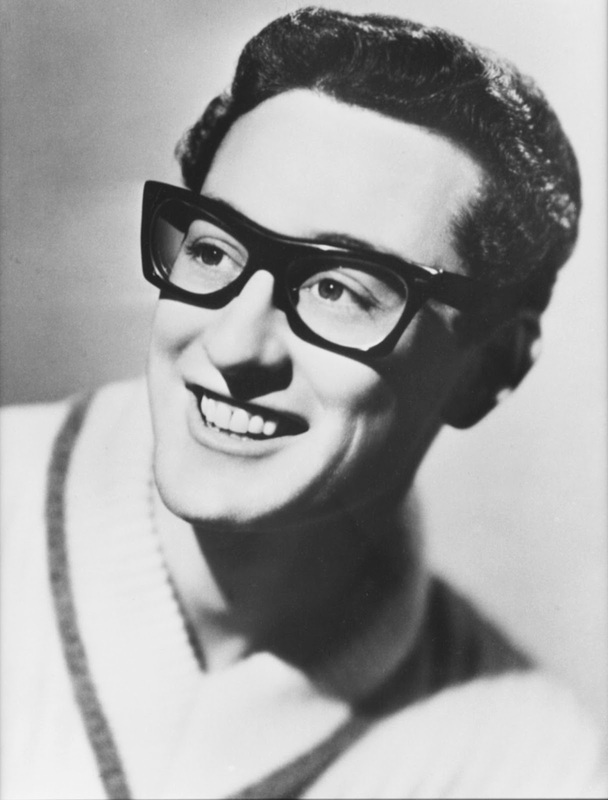 In only 18 months, from when Buddy Holly and the Crickets hit the charts with their first release "That'll Be The Day" to when he died in a tragic plane crash, Holly topped the charts with more than 27 Top 40 hits worldwide, with "That'll Be The Day" going to No. 1. Even after his death, Holly went to No. 1 with "It Doesn't Matter Anymore." From rock to country to R&B, Holly's songs have charted consistently for more than 50 years, proving that his music and his influence continue today. Holly died on February 3, 1959, often referred to as "the day the music died." But even in his short time, Buddy Holly changed the sound and look of rock 'n' roll forever, leaving a permanent standard that continues to influence artists all over the world. Holly was raised on country and bluegrass music but the Texas native then blended blues and R&B into his own style, resulting in some of the most innovative music ever recorded. In an era when most artists performed songs penned by others, Buddy Holly and his band were one of the first four-piece rock 'n' roll bands (two guitars, bass and drums) that wrote, arranged, played and recorded their own songs in the studio. They put out their music, their way. With this seemingly simple change, Holly created a new blueprint for past, present and future rock 'n' roll bands around the world. He captivated U.S. audiences with repeat performances on The Ed Sullivan Show, performing his hits "That'll Be The Day," "Peggy Sue" and "Oh Boy." Before there was a British Invasion led by the Beatles in America in 1964, there was an American Invasion led by Buddy Holly in England. In 1958, Holly toured England for a month playing more than 50 performances. He appeared on the two top TV shows, "Sunday Night At the Palladium" and "Live At The BBC." These personal appearances and TV broadcasts were the first exposure of an American rock 'n' roll band to the youth of England. After bleak post-war years, Holly's energy and style triggered a musical revolution in England and seeded the British Invasion that took place six years later in 1964. The Beatles took their name in tribute to Buddy Holly and the Crickets. When it came down to the business of learning how to work with the mechanics of writing songs, Holly's pure-and-simple three-chord melodies and "words of love" were a major influence and inspiration to John Lennon and Paul McCartney. Notably, five years to the day after Holly was buried, on February 7, 1964, the Beatles landed at JFK Airport in New York City and ushered in the British Invasion that changed popular music forever. Holly's legacy has been enduring and meteoric ever since.